In her work, Linda Kaye-Moses uses a multitude of techniques including: engraving, stamping embossing, dieforming, fold-forming, enameling, patination, roll-printing, cold-connections, blockprinting, assemblage, collage, and metal clay, to demonstrate the latent connection between her various media, which include: sterling silver, fine silver, gemstones, 14K gold details, and occasional found objects. Her work emphasizes the narrative capacity of wearable objects, with a focus on mythic connections and adornment as empowering object. The rich texture of her pieces encourages the viewer/wearer to read and re-read them as stories to be lingered over and unraveled. 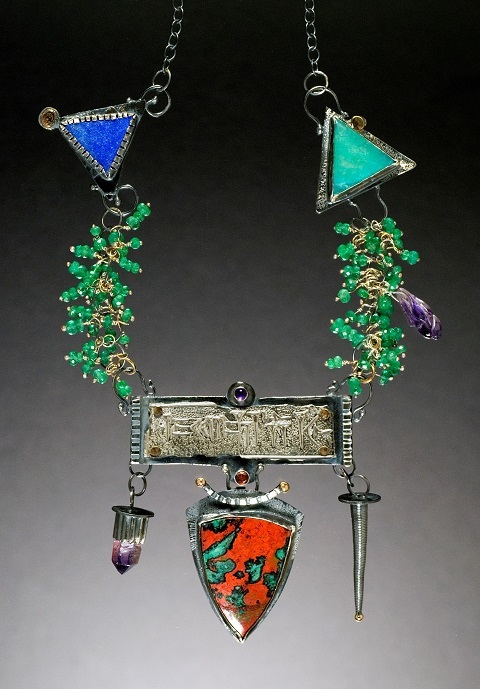 Many of Kaye-Moses jewels are paired with nesting cases that serve as homes for them when they are not being worn. These cases and their elements, often including poetry and drawings, frame and re-emphasize the jewels themselves. Since 1978, her award-winning work has been exhibited nationally in galleries and at juried craft shows. 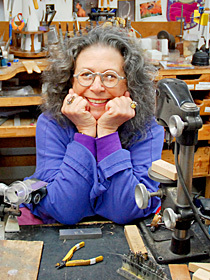 Her work has been published in numerous books, including Art Jewelry Today I, II, III and IV, and Narrative Jewelry; Tales From the Toolbox. She is the author of Pure Silver Metal Clay Beads, and Roots, Stems, and Branches; A Recollection. 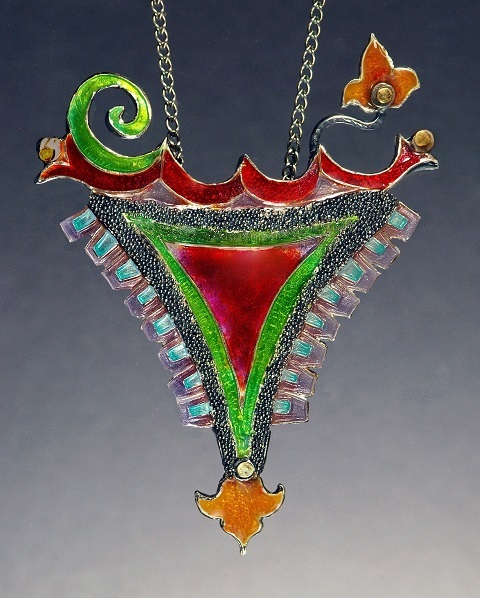 She developed a collection of enameled pendant neckpieces. 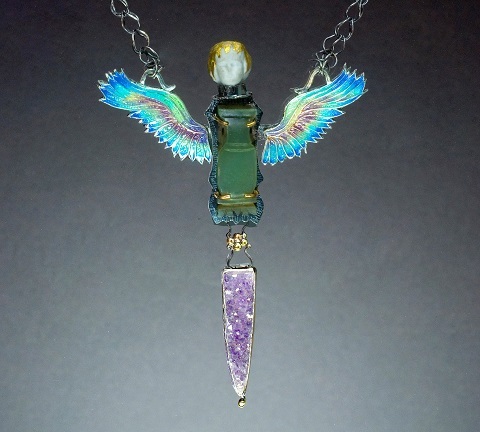 From Drawings to Jewelry based on her original drawings from the latter book.